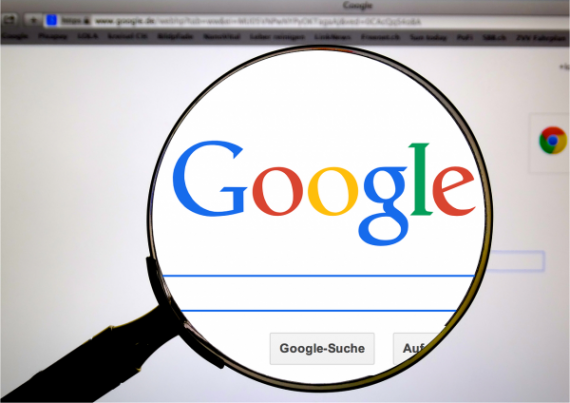 A recently published research paper from Leo Goldstein seems to have confirmed what millions of conservatives across the country have suspected all along – that Google is using its vast amount of power and authority over the Internet to silence right-wing websites. “Google Search is found to be biased in favor of left/liberal domains and against conservative domains with a confidence of 95%,” Goldstein observed. “Further, certain hard-Left domains have such a high [percentage of domain traffic, referred by Google Search, net of brand searches] that their standing raises suspicions that they have been hand-picked for prominent placement.” Goldstein also noted several conservative sites may have been explicitly targeted by Google, including AmericanThinker.com, DrudgeReport.com, PowerLineBlog.com, PJMedia.com and TheGatewayPundit.com. Last month, for example, Breitbart News reported that Google is now partnering up with ProPublica coalition and Pitch Interactive to provide journalists with a nationwide “Hate News Index.” But ProPublica isn’t exactly a fair and balanced organization; in fact, the Media Bias/Fact Check blog that examines the point-of-view of more than 1,700 news sources, rates ProPublica as “Left-Center Bias.” Furthermore, Google and ProPublica have partnered with several predominantly left-wing organizations, including the New York Times, BuzzFeed, Univision News, WNYC, First Draft, The Root, Meedan, New America Media, Latino USA, Ushahidi, The Advocate, and 100 Days in Appalachia. Google also put its anti-conservative bias on display when it was revealed that the Google-owned video sharing website YouTube was targeting right-wing content for censorship and demonetization. Several well-known YouTubers, like conservative journalist Lauren Southern, expressed their concerns over Google’s censorship in a series of interviews with The Daily Caller. In order to accomplish their goal of censoring conservative websites without explicitly saying that they are targeting conservative websites, Google hides behind that excuse that they are just looking for ways to “stop the spread of hate speech” and “make the Internet a more inclusive place.” Truthfully, however, the only thing that Google is doing is assaulting the free speech rights of millions of Americans and bringing our country one step closer towards totalitarianism. And therein lies the sad truth about the left: In order for them to continue advancing their far left, anti-American, big government agenda, they have no choice but to silence the voices of those who resist. Notably, this is radically different than the values held by conservative Americans, who believe strongly that everyone should have the right to speak out and voice their opinions regardless of what side of the political spectrum they find themselves on. To the left, this way of thinking is entirely unacceptable, because to respect free speech rights would essentially be an invitation for more political competition. It is time that our country begins the process of restricting Internet-based companies like Google from targeting users based solely on the political views that they hold. In an ideal world, Google would take a look at the Constitution and realize that what they are trying to do is in violation of the First Amendment, but clearly, that isn’t going to happen. Further action must be taken, before it is too late.